Yes, we sell pellets by the ton. Pellet stoves are environmentally friendly, and you don't have to cut, split, or stack wood. Pellets are made from wood waste that might otherwise be dumped in landfills or burned as trash. A properly installed pellet stove gives off less than one gram of particulate matter per hour. The only waste from a pellet stove is biodegradable ash. 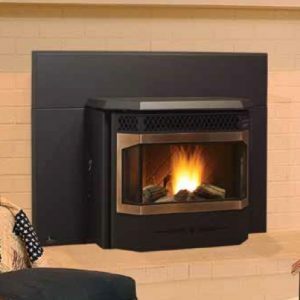 Pellet stoves are also very safe, since only the front portion gets hot. 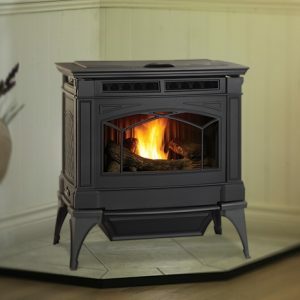 Call us at 503-256-3473 to find out more about pellet stoves and visit our showroom to see our selection in person. 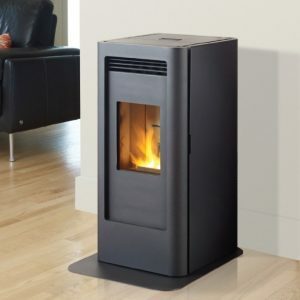 The GF40 small free standing pellet stove features a modern compact design that heats your room evenly and efficiently. Put up your feet and enjoy the warmth while the quick start automatic ignitor and large multi tube heat exchanger do all the work. 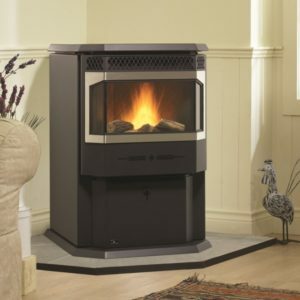 The latest additions to the Hampton Collection is the Cast Iron Biomass Pellet Insert. 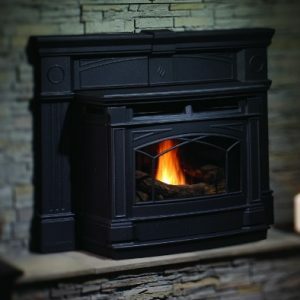 This environmentally-friendly fireplace insert combines all of the best features of traditional cast iron with the latest developments in alternative fuel technology. This pellet insert can burn wood pellets, corn, wheat & barley at maximum efficiencies for very cost effective home heating.